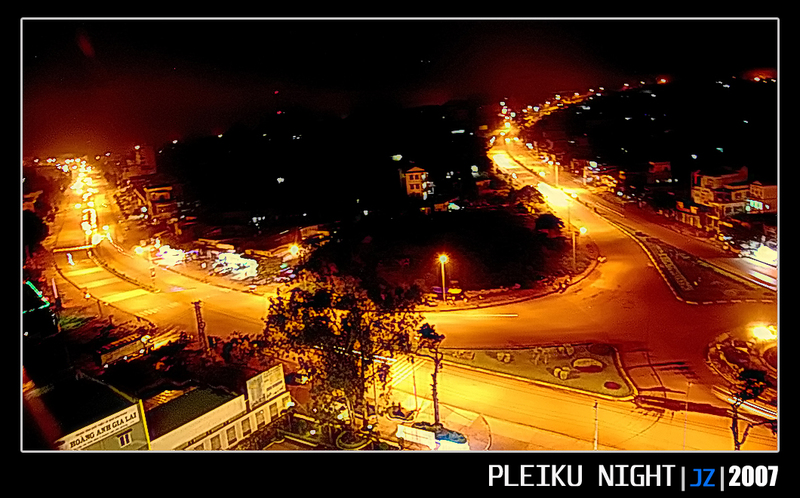 The Pleiku Plateau : Located on the National Route 19 and 14, 540km from Ho Chi Minh City. Pleiku - The Foggy City is well - known for its natural attractions such as Bien Ho lake which provides deep blue and clean water all year round. Chu H’Drung mountain can be seen from the center of the city and bares a striking resemblance to the roof of a Roong House. Add to these natural features, diverse range of cultural relics, green parks, pagodas and warm friendly Highlanders and Pleiku becomes one of must-see tourist areas of Vietnam. The Bahnar Minority Culture: A cluster of four villages such as Dektu - Deron - Dedoa and DeKop is 35 km the east of Pleiku. Here, you can visit and stay overnight and of course you will enjoy yourselves exploring the traditional culture, custom and Gong ceremony atmosphere. The Jarai Minority Culture: Pleiphun village belongs to Iamnong Commune, Chu Pah District is considered an ideal place for Tourists who want to visit and learn about Jarai’s traditional custom especially the Wooden Statues culture. Ialy Hydro Power Plant: An amazing exploit in the Central Highlands, not only do you see a modern State project constructed by the Vietnamese but you can also view spectacular scenery and take a boat trip on the poetic reservoir. Bien Ho lake: Created on the the mouth of a volcano of million years of ages. Bien Ho is an important Archaeological site from the last Stone Age. You can take a boat trip on the lake and admire this charming and scenic place. Phu Cuong Waterfall: At a distance of 49km southeast of Pleiku, Phu Cuong is considered a grand and mighty waterfall with a colorful rainbow every afternoon. Elephant Ride: Not only GiaLai is known for its primitive forests, mighty waterfalls and rivers and original minority villages but for hundreds of years elephants have been a prominent part of the the Jarai people’s life. You can now experience a ride on the back of an elephant through highland forests and local villages. 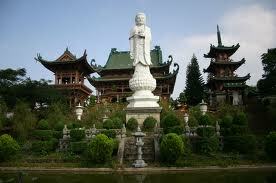 Trekking: Gia Lai presents an abundance of varied eco-tourism potential. For over ten years, Gialaitourist has been organizing different kinds of trekking tours. These tours will take you over mountains and rivers and give you a chance to experience first-hand the unique culture of the Bahnar and Jarai Minorities as you visit their villages. 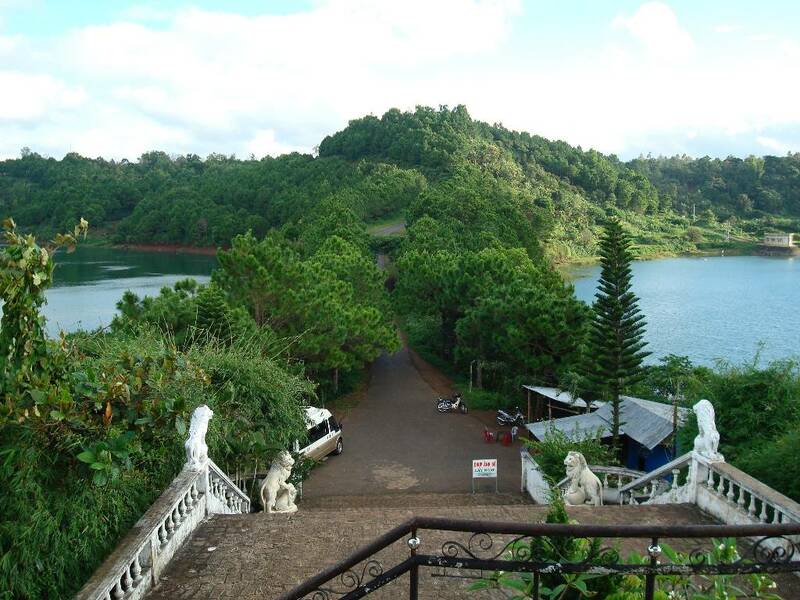 The Pleiku Plateau: Located on the National Route 19 and 14, 540km from Ho Chi Minh City. 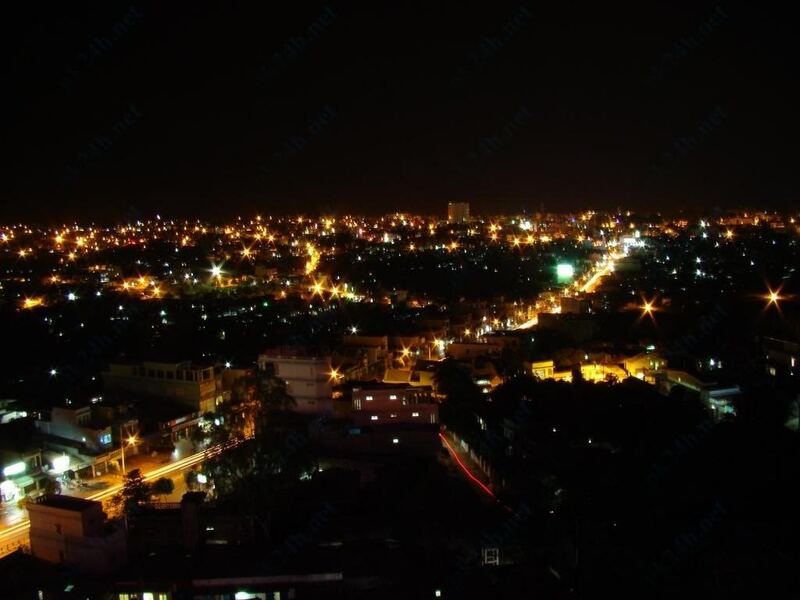 Pleiku - The Foggy City is well - known for its natural attractions such as Bien Ho lake which provides deep blue and clean water all year round. Chu H’Drung mountain can be seen from the center of the city and bares a striking resemblance to the roof of a Roong House. Add to these natural features, diverse range of cultural relics, green parks, pagodas and warm friendly Highlanders and Pleiku becomes one of must-see tourist areas of Vietnam. The Jarai Minority Culture : Pleiphun village belongs to Iamnong Commune, Chu Pah District is considered an ideal place for Tourists who want to visit and learn about Jarai’s traditional custom especially the Wooden Statues culture. Ialy Hydro Power Plant : An amazing exploit in the Central Highlands, not only do you see a modern State project constructed by the Vietnamese but you can also view spectacular scenery and take a boat trip on the poetic reservoir. Bien Ho lake : Created on the the mouth of a volcano of million years of ages. Bien Ho is an important Archaeological site from the last Stone Age. You can take a boat trip on the lake and admire this charming and scenic place. Phu Cuong Waterfall : At a distance of 49km southeast of Pleiku, Phu Cuong is considered a grand and mighty waterfall with a colorful rainbow every afternoon. Elephant Ride : Not only GiaLai is known for its primitive forests, mighty waterfalls and rivers and original minority villages but for hundreds of years elephants have been a prominent part of the the Jarai people’s life. You can now experience a ride on the back of an elephant through highland forests and local villages. Trekking : Gia Lai presents an abundance of varied eco-tourism potential. For over ten years, Gialaitourist has been organizing different kinds of trekking tours. These tours will take you over mountains and rivers and give you a chance to experience first-hand the unique culture of the Bahnar and Jarai Minorities as you visit their villages.